I can't begin to tell you how excited I was to open the package that Malie Organics had sent me with their new skincare line in it! 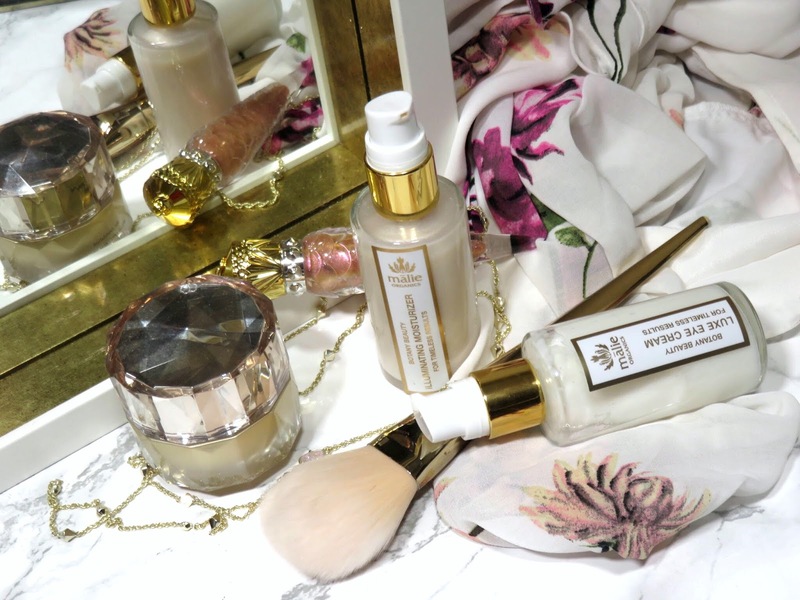 First of all, if you don't know about this amazing Hawaii-based brand, read my review on their beautiful organic body line here. They are now producing organic skincare and I am SO EXCITED to see an Illuminating Moisturizer in their line! 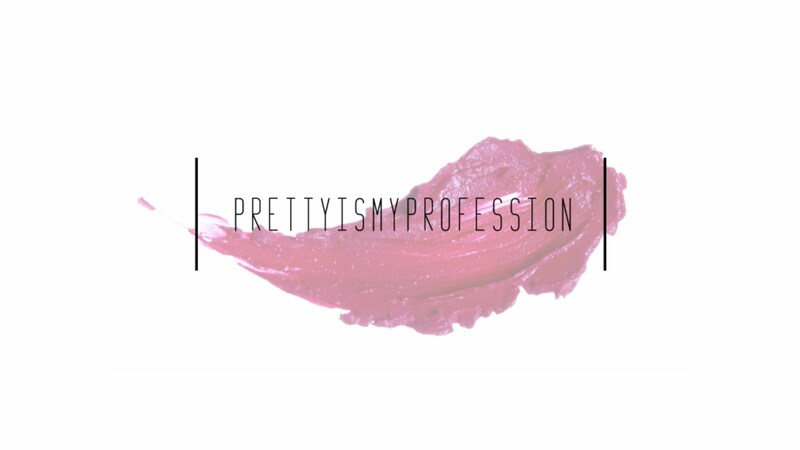 Did they do this for me... because I'm kind of really obsessed with all things illuminating primer or moisturizer! 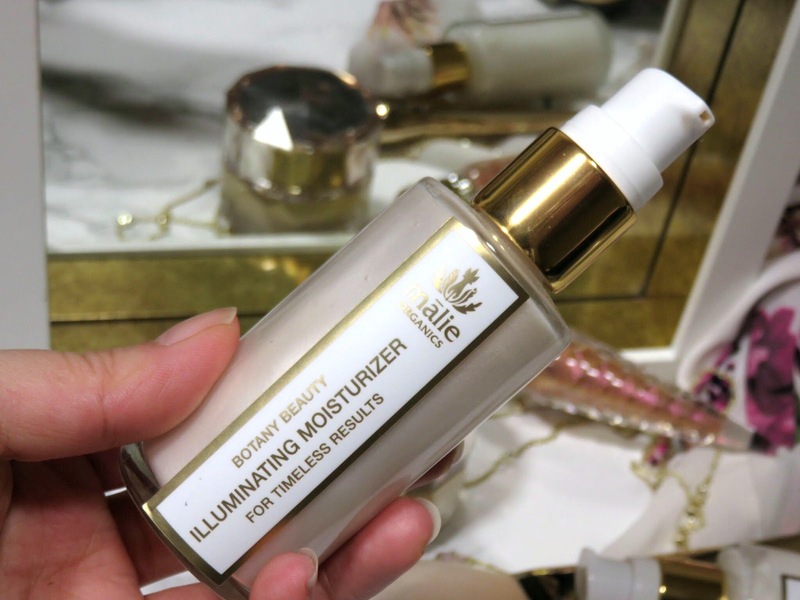 The Malie Organics Botany Beauty Illuminating Moisturizer retails for $46.00 USD for 30mL/1oz and is available at Malie Organics. This product is beautifully and simply packaged in a glass bottle with a pump. The label is their classic white and gold, which is so classy and my personal favorite combination of colors! It feels very luxurious and you can see the amazing pearl running through this product! 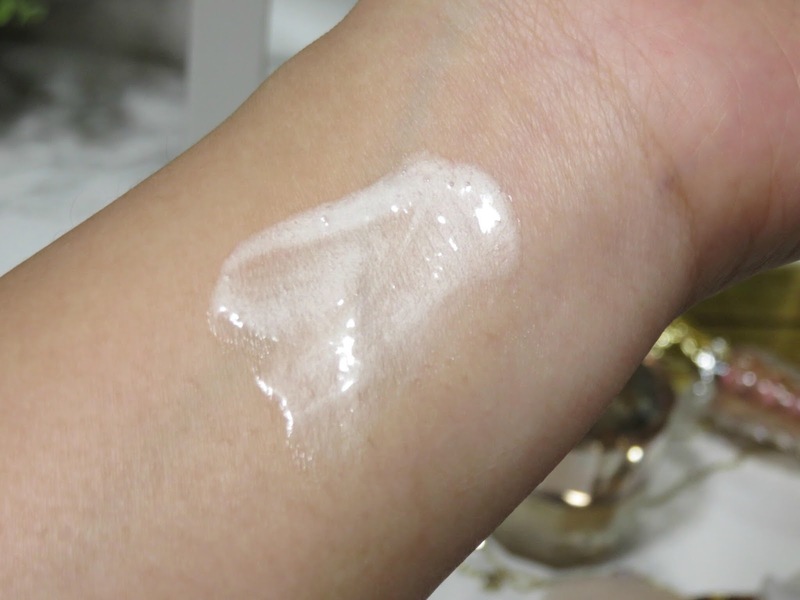 The formula had a very runny liquid texture and absorbs immediately into the skin! It is ultra lightweight and very refreshing. It will definitely work for all skin types because it feels so light and doesn't leave any residue on the surface of the skin. It is supposed to have a "matte, shine-free finish", which I can complete agree with. It is a very interesting prouct because while it offers a soft glow, it truly offers a matte finish as well. It's a "matte-glow" if you can believe it. Personally, my dry skin needs just a bit more moisture, so I always apply a hydrating serum prior to this product. 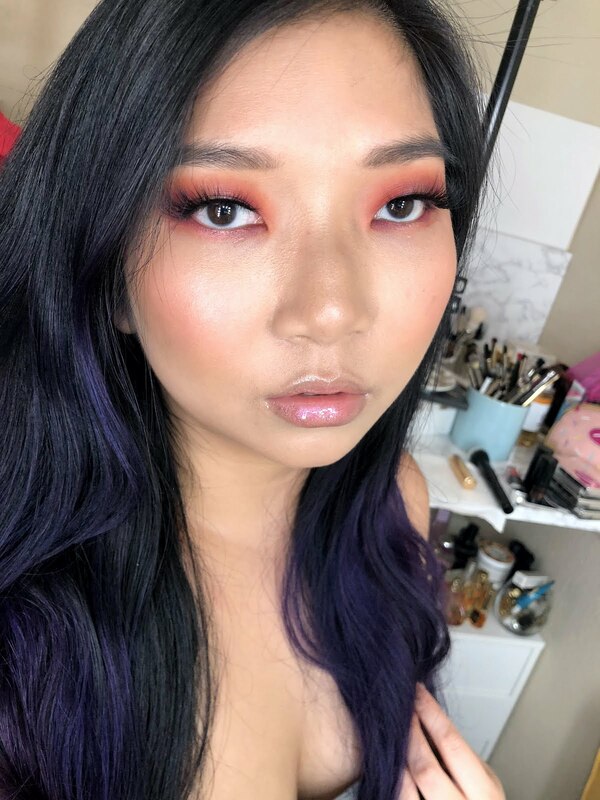 The best part of the light texture is that it makes a perfect primer for makeup because it doesn't leave excess product sitting on the skin. The glow is very subtle and soft! 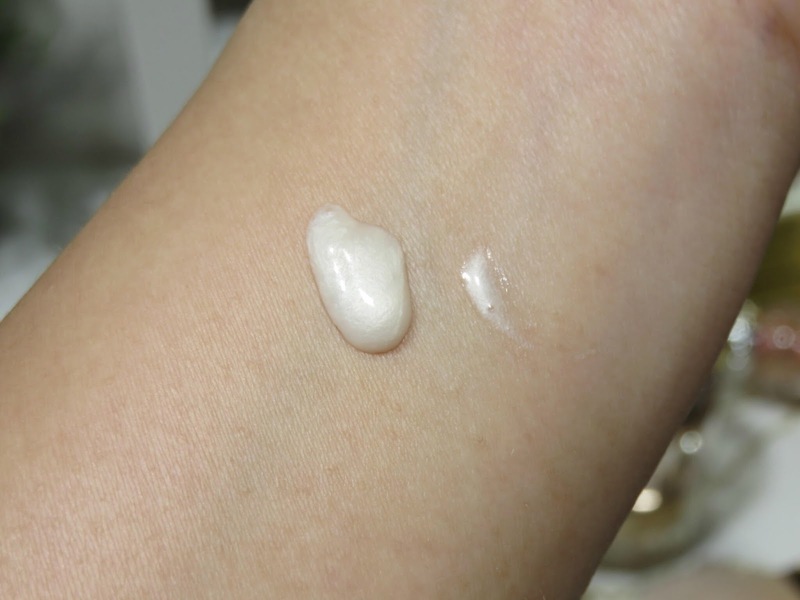 You will not notice the pearl or sheen on the skin but your skin will just have a very natural sheen. 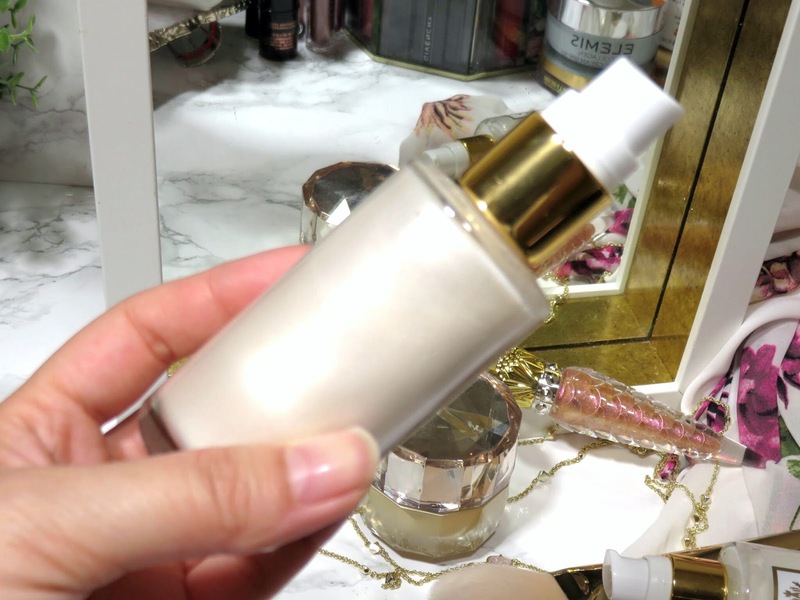 The lightweight texture makes this product highly versatile because it can be mixed in with your base products without sheering them out too much or causing the to turn into a tinted moisturizer. It is more like a super subtle liquid illuminator. 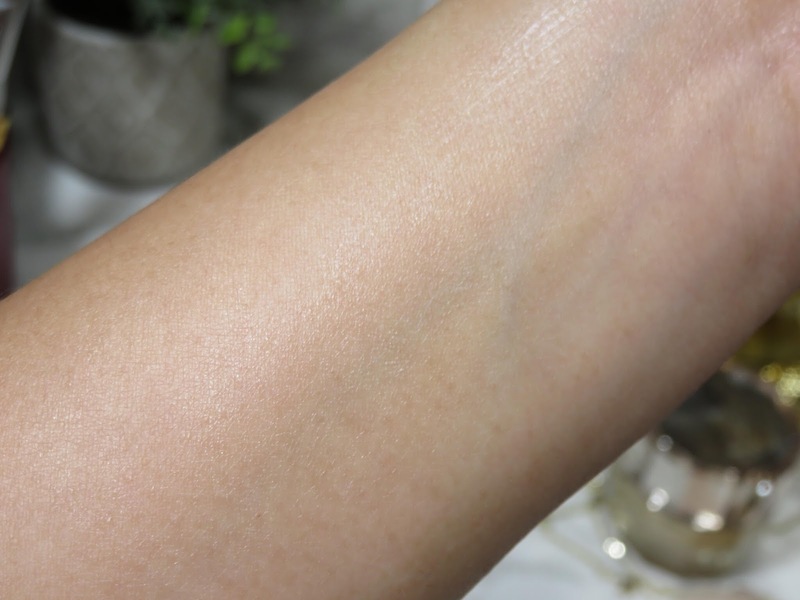 When mixed into my foundation, it feels very fresh and gives a very subtle sheen to the skin, it's almost undetectable. I love the natural freshness and glow to the skin, it just looks like real skin. Plus the ingredients are natural and organic! Check out this full list of natural ingredients! ingredients: Purified Water, Organic Aloe Barbadensis Leaf Juice (Organic Aloe Vera), Sodium Stearate, Vegetable Glycerin, Organic Cocos Nucifera Oil (Organic Coconut), Prunus Armeniaca Oil (Apricot Kernel), Tocopherol Acetate (Vitamin E), Panthenol (Vitamin B5), Sodium Ascorbyl Phosphate (Vitamin C), Eugenia Caryophyllus Bud Essential Oil (Clove), Lavandula Angustifolia Distillate (Lavender), Dimethyl Sulfone (MSM), Papain Beta-Glucan Extract (Papaya), Bromelain Extract (Pineapple), Juniperus Communis Fruit Extract (Juniper), Capsicum Annuum Fruit Extract (Cayenne), Equisetum Arvense Extract (Horsetail), Organic Taraxacum Officinale Root Extract (Organic Dandelion), Organic Centella Asiatica Extract (Organic Gotu Kola), Geranium Maculatum Extract (Geranium), Maltodextrin, Cetyl Alcohol. It is very difficult to find a high quality and organic skincare range however, we are begining to see more and more great products entering the market these days. It seems many brands are finally recognizing that their customer's don't want junk in their skincare anymore. 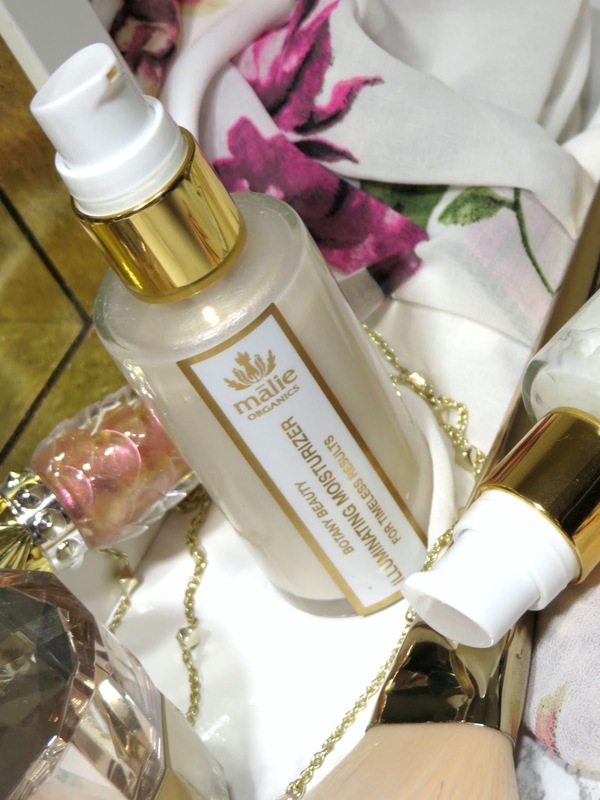 Malie Organics has always been a brand who strived to provide quality organic products from the start. which I really admire and appreciate. Dimethyl Sulfone MSM - Which sounds intimidating and very much like a synthetic ingredient but it actually is naturally derived and is a compound that is present in our bodies. It is meant to enhance collagen bundles and keratin that are some of building blocks of our skin. It helps create strong bonds, which in turn give us that youthful texture and bounce to our skin. It is also a skin brightener, helping with pigmentation and it is also an absorption enhancer for other ingredients. Cayenne - I am huge fan of using this spice in my food but I have never used it on my skin before. Cayenne is supposed to help with detoxifying the skin and is a big anti-inflammatory ingredient to help with redness and acne-prone skin. It is also has one of the highest concentrations of vitamin E to protect the skin from environmental aggressors. It also has high amount of vitamin A and beta-carotene that helps regenerate and make the skin supple. Pineapple and papaya fruit extract - These have natural enzymes that help brighten the skin and give your skin a healthy radiance. Not to mention fruit extracts have a lot of antioxidants to help with promoting youthful skin cells and preventing lines and wrinkles. I have been using this product for four months now and I love it! This moisturizer is excellent for all skin types because it has so many ingredients to help control for oil and prevent acne but also many ingredients to nourish, hydrate, and protect the skin! Because this product has such a high amount of aloe vera, it really helps hydrate and soothe the skin but it also absorbs quickly, which is great for prepping prior to makeup application. Th soft glow of the micas with the brightening ingredients, really gives your skin a natural and healthy looking freshness to the skin. I love how lightweight and invisible it feels on the skin. It is an excellent moisturizer for prepping the skin for makeup and for warmer weather because of the oil controlling ingredients. I find my nose, which tends to get oily throughout the day, doesn't get as oily when I use this product underneath but even with the rest of my skin being dry, this moisturizer still hydrates and nourishes those drier parts of my face. Oh WOW! This is so pretty! And it has really gorgeous ingredients too!